Traveling with young children can be a challenge. As ride-share apps continue to surge in popularity, transporting children safely via these services has become a growing concern. The average Uber or Lyft vehicle does not generally come equipped with a car seat, and only in certain cities is it an option to request one. 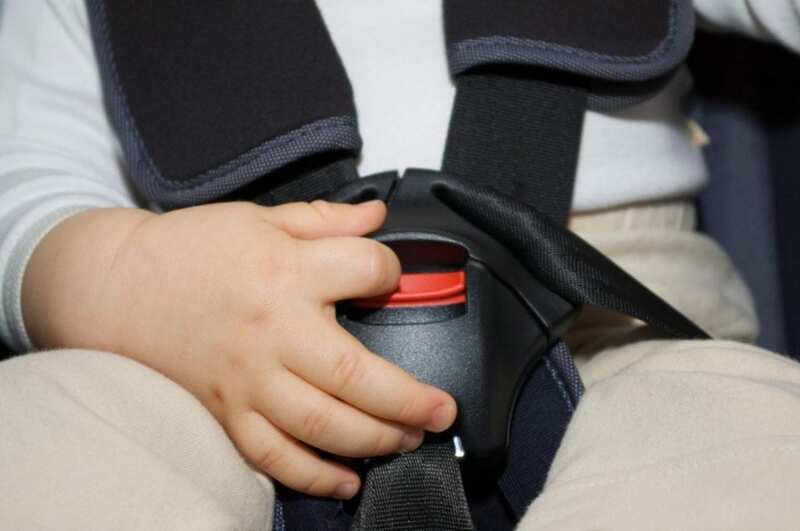 Although parents can provide their own, many infant and convertible car seats are bulky, heavy, and require a separate base, making this an unwieldy option for vacations or extended travel. With the goal of increasing child safety, researchers at the Virginia Tech Transportation Institute (VTTI) and Texas A&M Transportation Institute (TTI) have released a new study about child ridership and child safety seat use in ride-share vehicles. They have also published a corresponding website to help educate the public on various child restraint guidelines across the country. "It can be a challenge to figure out what the rules are for transporting kids in a ride-share vehicle, as the laws vary from state to state. We hope this website will serve as a valuable reference that parents, ride-share drivers, and others can use to identify the child passenger regulations in their area and other states they may visit," said Justin Owens, a research scientist at VTTI and principal investigator on the project. Owens and his colleagues analyzed child restraint laws nationwide in the initial phase of the study. According to their findings, 34 states, including Virginia, exempt taxis and for-hire vehicles from child restraint requirements. Whether these exemptions also apply to ride-share vehicles is often less clear, however. Currently, Georgia is the only state that distinguishes between ride-sharing and other for-hire vehicles in its legislation: for-hire vehicles are exempt, but ride-share drivers in Georgia are required to provide car seats if needed. How are parents and ride-share drivers navigating this uncertain territory? To gauge this, the project team conducted both a series of focus groups in Texas with parents and ride-share drivers and a nationwide internet survey of parents of young children. The goal was to reveal the safety attitudes and practices of parents who use ride-share vehicles with their children, as well as any barriers that exist to appropriate child seat use. More than a third of parents in the study utilized ride-share services with their children. Up to half of parents reported not providing appropriate child safety seats while riding in an Uber, Lyft, or other ride-share vehicle with their families. Three quarters of drivers in the focus groups had given rides to young children. Among these drivers, only half of them recounted car seat usage. Overall, parents were interested in using child seats in ride-shares, but often felt deterred by the lack of car seat options and uncertainty surrounding the rules. "These findings suggest that parents would like to be able to transport their children more safely when using ride-share vehicles, but there is a real need for user-friendly information about rules, regulations, and resources surrounding travel with children," said Owens. "For that reason, we have created a website, http://www.kidsridesafe.org, that aims to provide caregivers and ride-share drivers with this information in an easy-to-access manner." The project was funded by the Safety through Disruption (Safe-D) University Transportation Center, a research collaboration between VTTI, TTI, and San Diego State University. Safe-D was established via a $28 million grant from the U.S. Department of Transportation in order to study and maximize the safety potential of modern advancements in transportation.